We start our scenic drive along the Aegean, stop for photo opportunities and indulge our taste buds at one of the many farmer road side stands that sell olives, figs, pistachios, and other seasonal fruits. Then we will head east towards Troy. 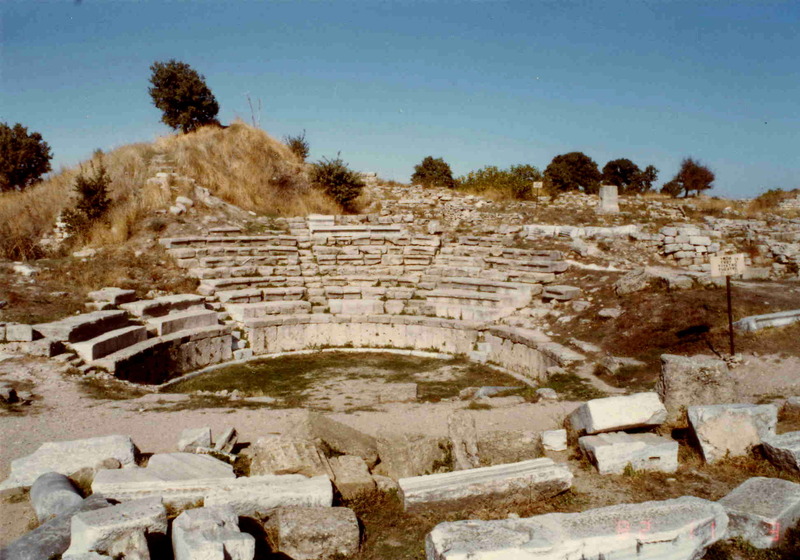 *Troy (Truva) is the ancient site which Homer wrote about in his classic Iliad. It dates back to approximately 3,000 BC and has been the site of nine different cities through the thousands of years it has been in existence. Upon entering Troy, a large wooden Trojan horse full-scale reproduction will dominate your view. You'll definitely want to climb up and get your picture taken! There is also a small museum on-site to help you get oriented. • Houses of Troy I, 3000 B.C. - 2500 B.C. 23.00 Arrive in Istanbul and drop back to your hotel or overnight local bus to Izmir/ Selcuk / Kusadasi can be arranged. Troy was a city, both factual and legendary, in northwest Anatolia in what is now Turkey, south of the southwest end of the Dardanelles / Hellespont and northwest of Mount Ida. It is best known for being the setting of the Trojan War described in the Greek Epic Cycle and especially in the Iliad, one of the two epic poems attributed to Homer. A new city called Ilium was founded on the site in the reign of the Roman Emperor Augustus. It flourished until the establishment of Constantinople and declined gradually during the Byzantine era.